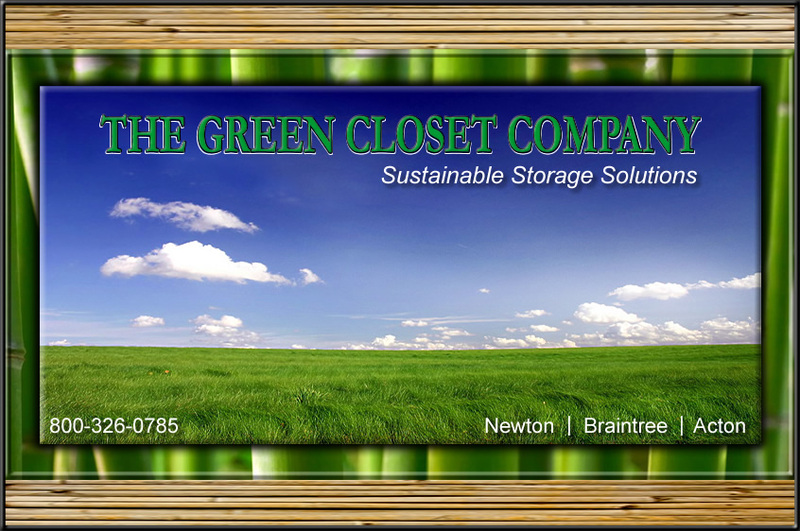 The Green Closet Company is dedicated to providing eco friendly storage solutions in all closets and storage areas throughout your home. The Green Closet Company is a division of Kustom Klosets which has been servicing Massachusetts since 1985. We will customize your closet and storage areas in bamboo or an eco friendly melamine product. Our products are environmentally preferable with low and no voc materials. Our Bamboo is manufactured from organically grown moso bamboo that is 4-6 years old. Our products help protect the environment as well as organizing your storage space. Bamboo is an amazing material that offers extraordinary strength and durability. In fact, Bamboo has been used to construct buildings that have withstood earthquakes! Bamboo is well known for being the fastest growing plant on earth. When Bamboo regenerates, the plant's root system remains intact, thus preventing massive erosion and damage to the surrounding environment. Some trees used in the traditional building process can take over 20-30 yrs to fully regenerate, which means there is less oxygen produced and less carbon dioxide consumed. However, Bamboo can be harvested every 3-7 years and a pole of Bamboo can self generate to it's full state, in 6 months! Bamboo offers great strength, natural beauty, and incredible positive effects for our environment that are now available for your home. Please call the Green Closet Company for a consultation. Visit our first display located inside Terrene LLC in Braintree, Ma. Massachusetts first sustainable building products supply store, www.terrenellc.com. Newton and Acton Locations Coming Soon!